Phoenix Real Estate Attorneys and Lawyers Arizona | Carmichael & Powell, P.C. Carmichael & Powell has been providing quality, personal legal services to the businesses and residents of Maricopa County, Arizona since 1979. Our hard work has been recognized by our peers in the legal community, who have given the firm an AV-rating on the Martindale-Hubbell peer rating system (the highest rating a firm can have for legal ability and ethical standards). Attorney Donald Powell is certified as a bankruptcy specialist by the State Bar of Arizona, and has achieved an AV-rating as well as listings in Martindale-Hubbell’s Bar Register of Preeminent Lawyers. Over the years, the Phoenix business lawyers of Carmichael & Powell have built upon this solid foundation by bringing together a highly skilled and experienced team of attorneys with tremendous depth and breadth of experience in bankruptcy, business, real estate, construction, probate and estate planning and courtroom litigation of all types, including personal injury, wrongful death, business disputes, and construction litigation. 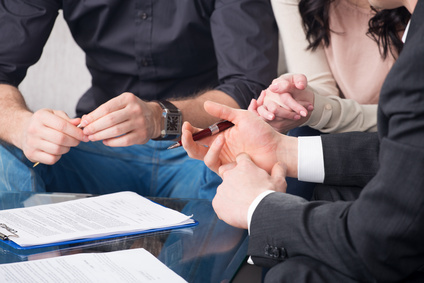 Our Phoenix business lawyers have developed a solid base of loyal clients, often coming to the firm through referrals from existing clients who valued the prompt and professional service they received. We pride ourselves in providing top-notch legal services and professional representation at boutique firm prices. We work with individuals and businesses, real estate companies, construction companies, and professional organizations throughout Maricopa County, particularly in the greater Phoenix area. Carmichael & Powell has been extensively involved with the Maricopa County Community Foundation since its inception. Firm members have volunteered with the Maricopa County Community Foundation and with Maricopa County Community Services to provide legal services. Founder Ronald W. Carmichael was extensively involved with the Maricopa County Community Foundation. Don Powell chaired the Maricopa County Bar Foundation, which provides financial support to organizations that provide legal services to homeless, poor, and disadvantaged residents in Maricopa County. The firm and its partners have received numerous awards for their work. We invite you to learn more about our areas of legal focus, and our team of attorneys. Then contact our law office to schedule an in-person appointment. See why so many clients tell their colleagues about Carmichael & Powell.